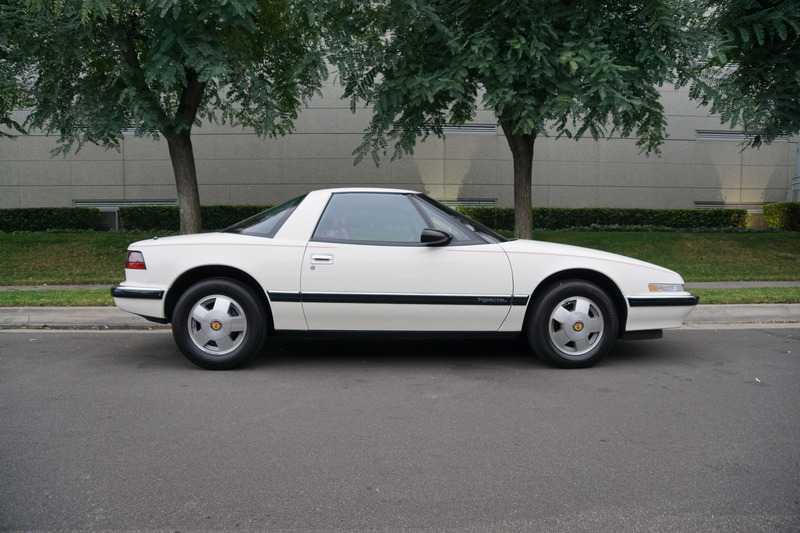 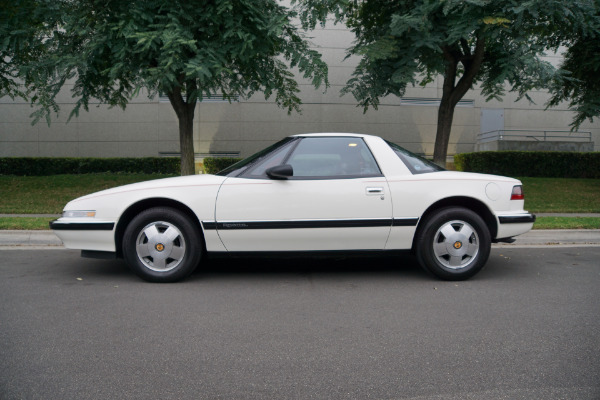 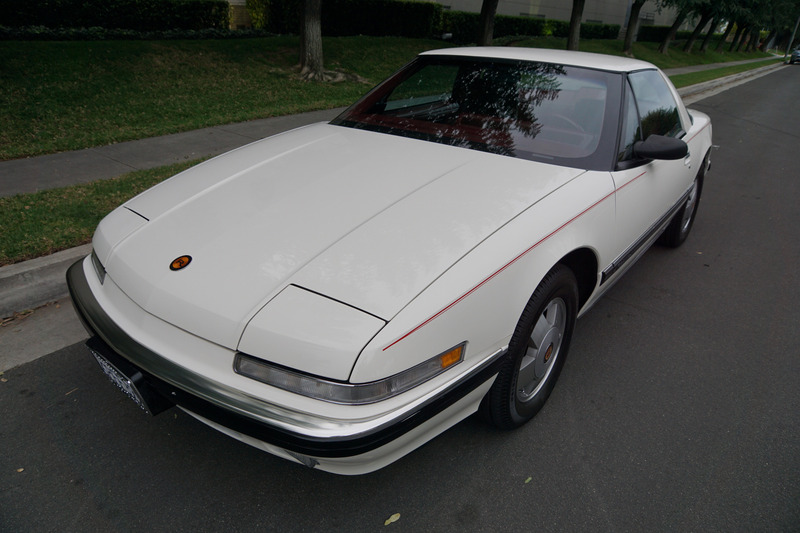 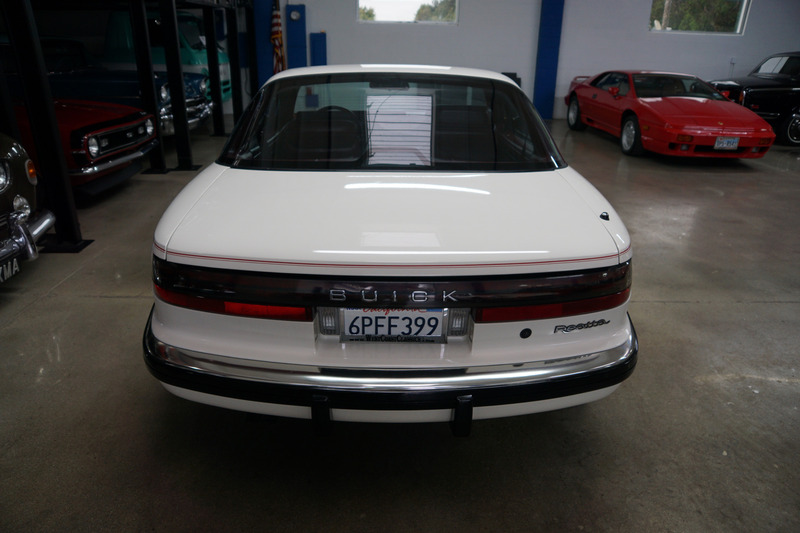 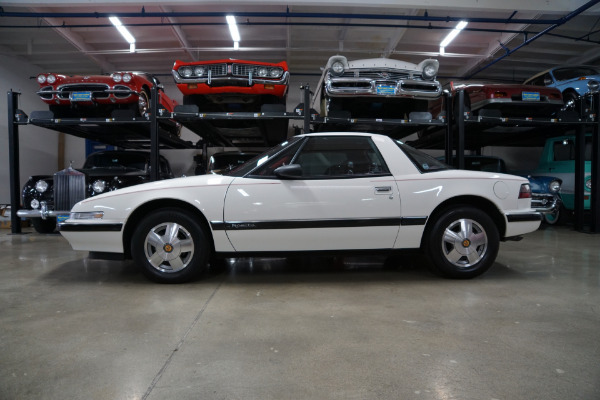 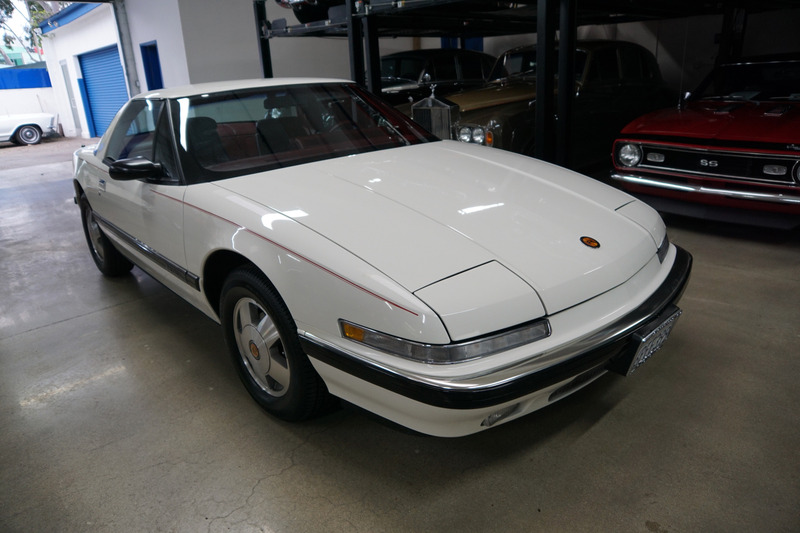 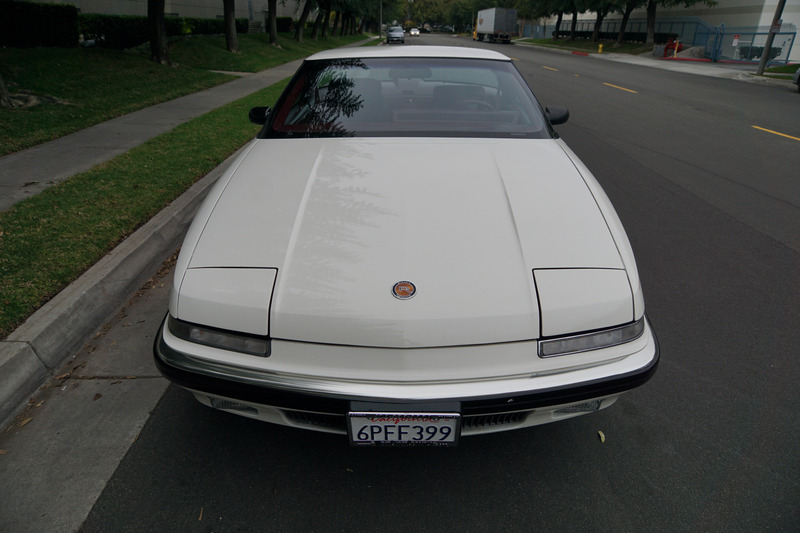 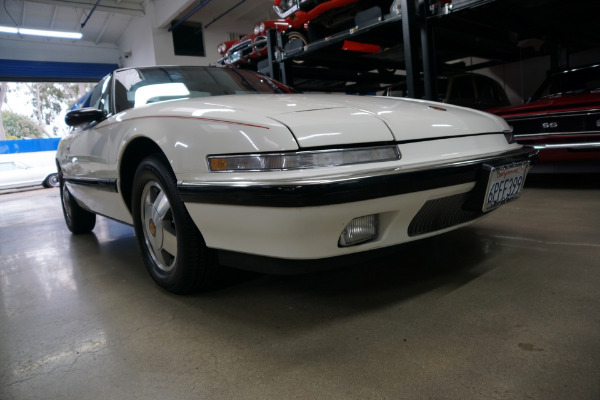 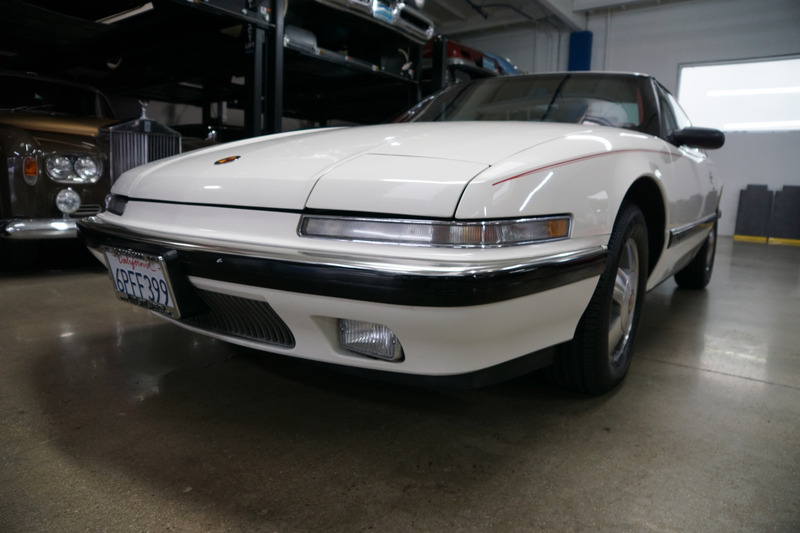 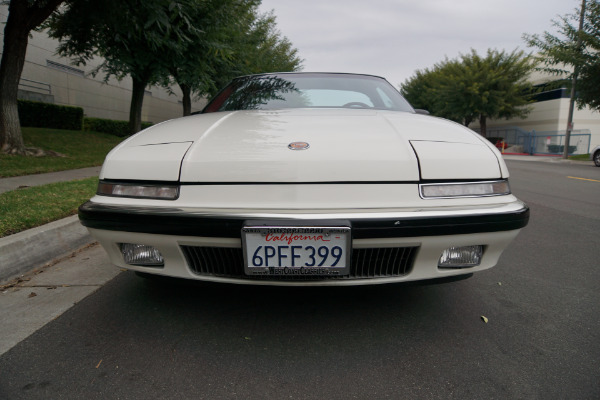 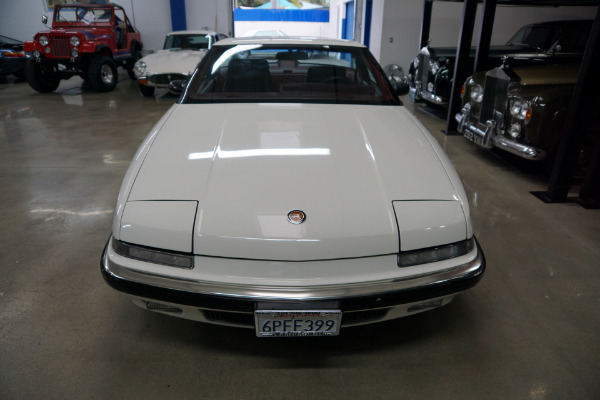 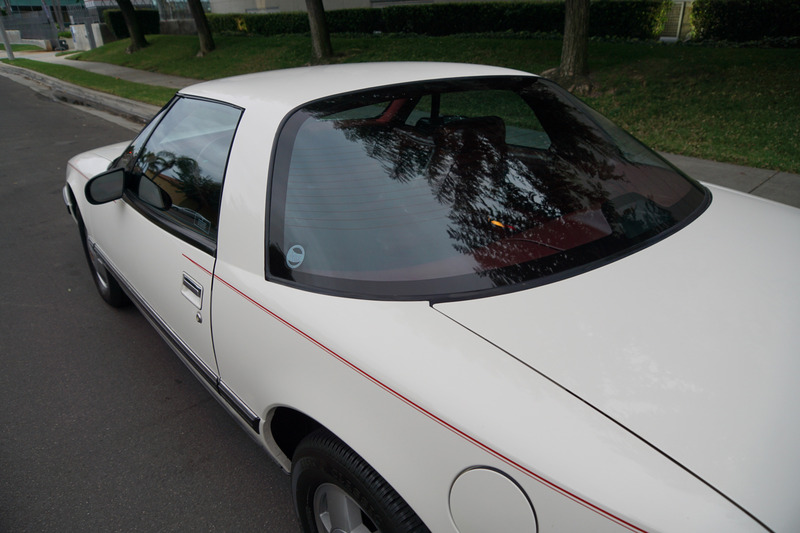 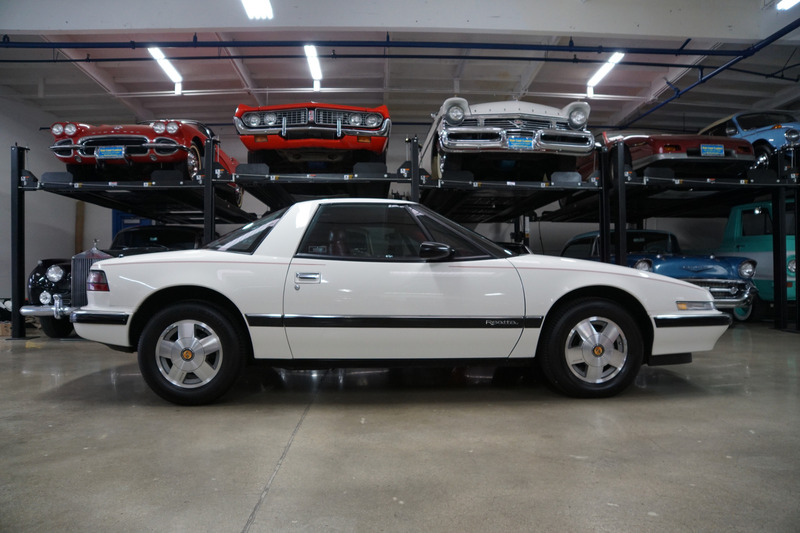 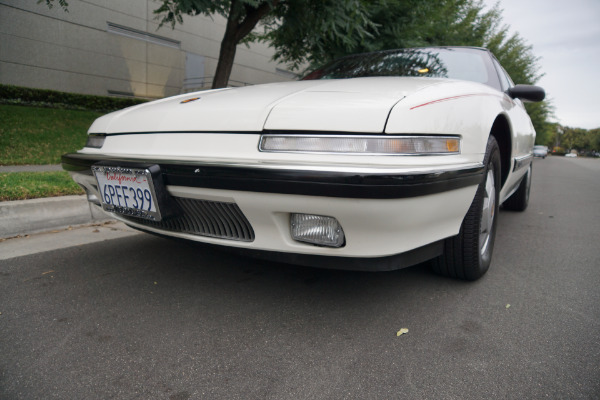 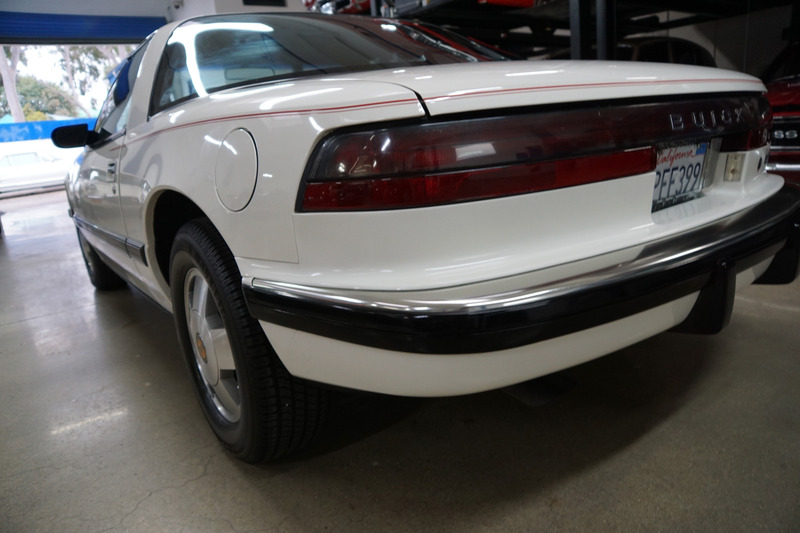 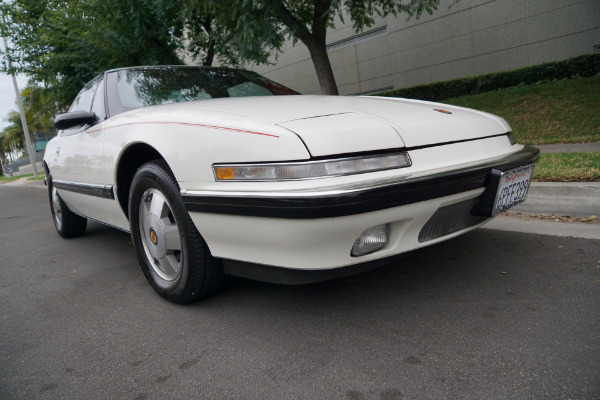 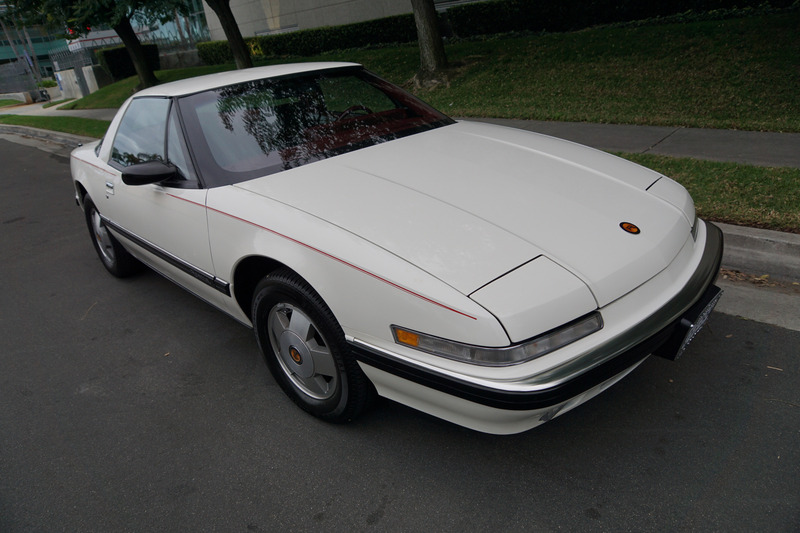 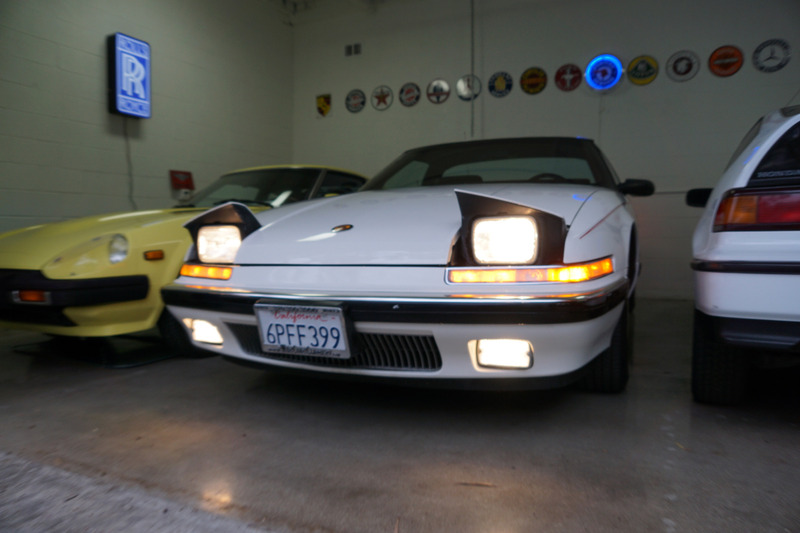 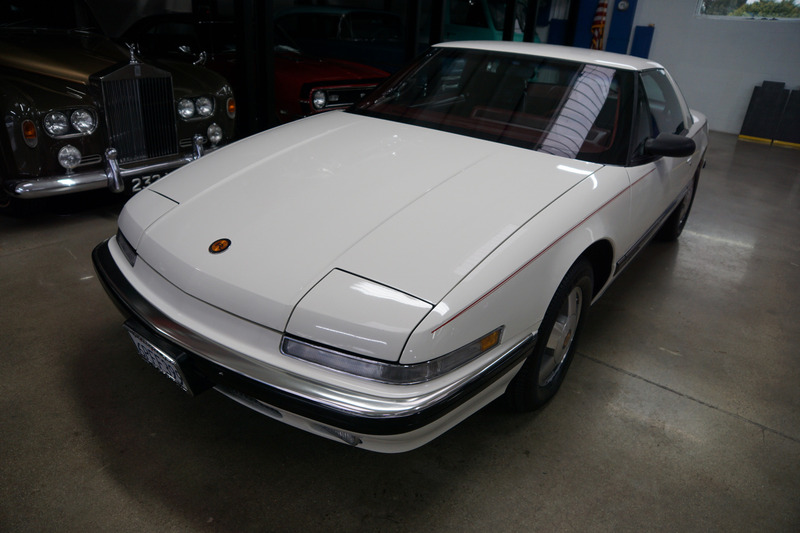 West Coast Classics are proud to present an absolutely exceptional and stunning example of this beautiful all original and stock 1989 Buick Reatta Coupe with only 25K original miles! 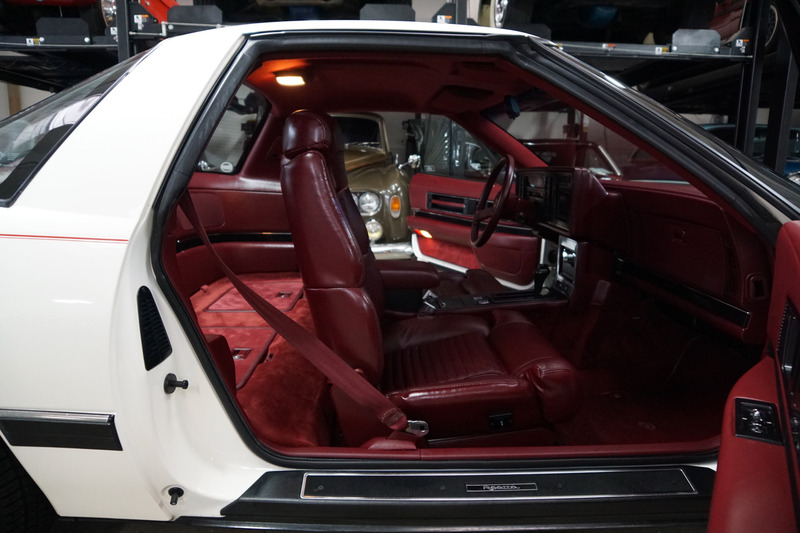 Finished in its beautiful all original factory color combination of 'White' color paint with a Burgundy leather seats interior! The Buick Reatta Sports Coupe and Convertible (added in 1990-91) is a now a classic and very collectible American sports car designed by GM and which was built for only three years from 1988-91 and they were hand crafted by a team of craftsmen in a series of nine craft stations at the 'Reatta Craft Center' in Lansing, MI and not on the assembly line with a quality of workmanship that still shows today and were by far the most expensive Buick's of the entire line up. 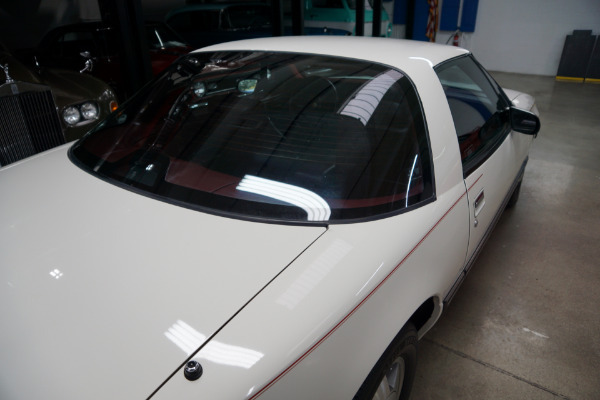 Each car was shipped with a signed certificate by all 5 team leaders of each team responsible for the specific segments of the Reatta with a pride and dedication to quality workmanship for paint finish; body panel fit; instrument/steering column/electrical system; interior trim and drivetrain/brake system and the craftsman log was signed only after meeting the highest possible standards of its day. 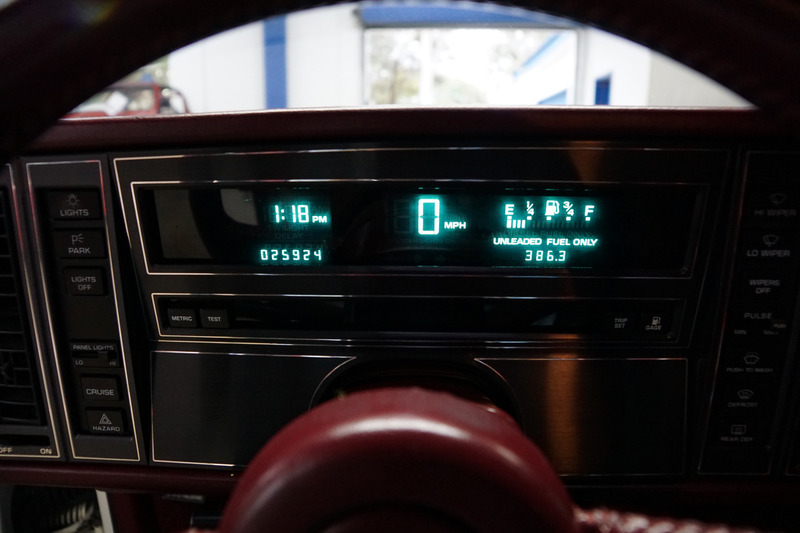 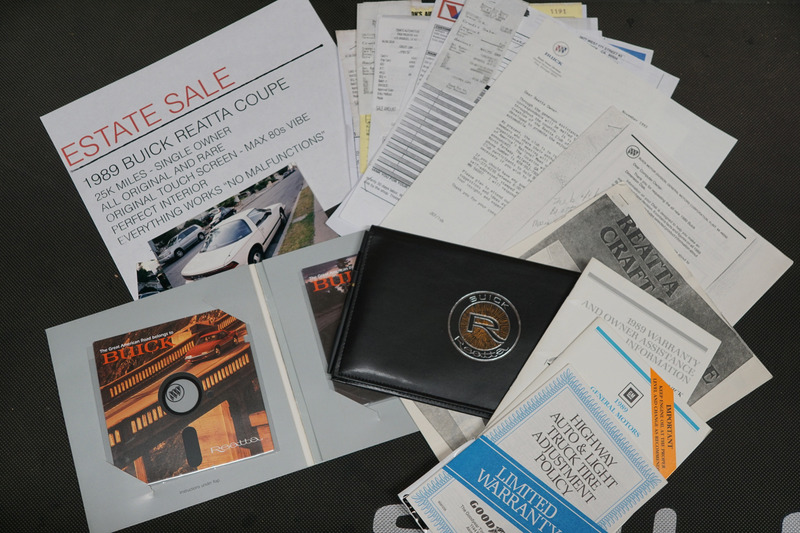 This particular car will also be sold with its original owners manual, original Reatta pen, original Buick dealer and factory letters of introduction and trade publications. 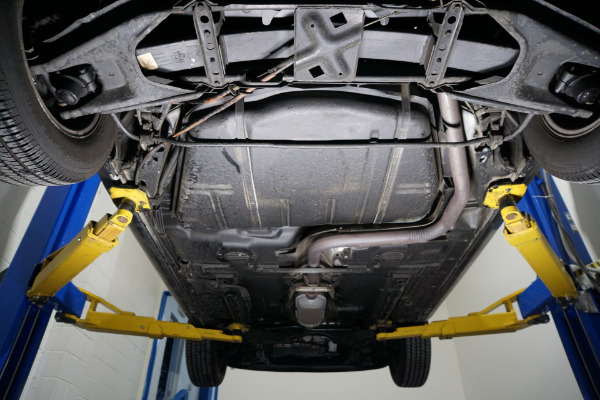 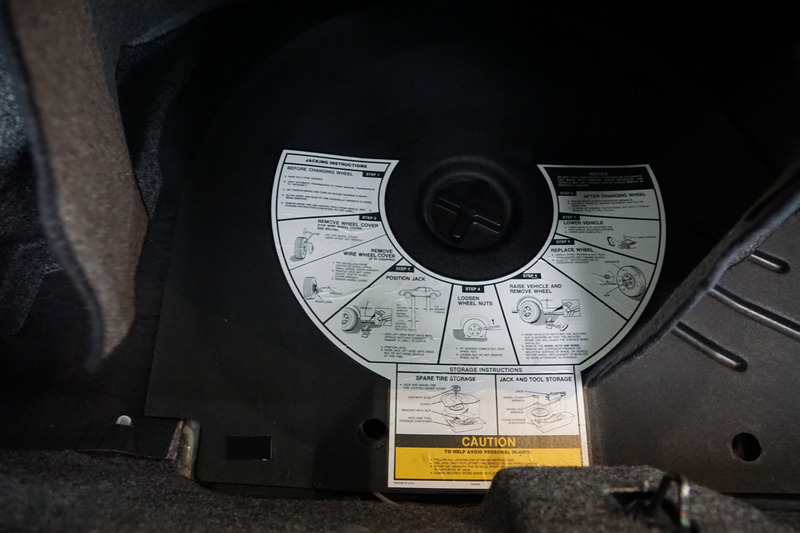 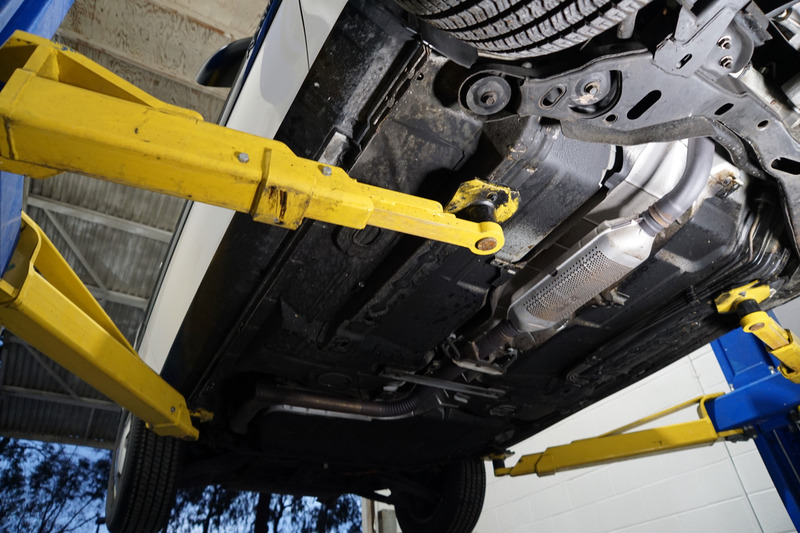 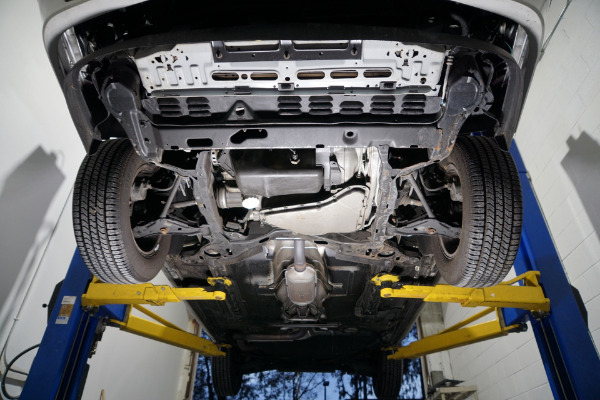 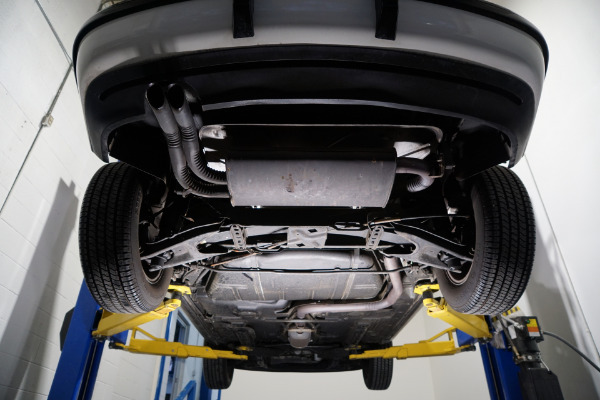 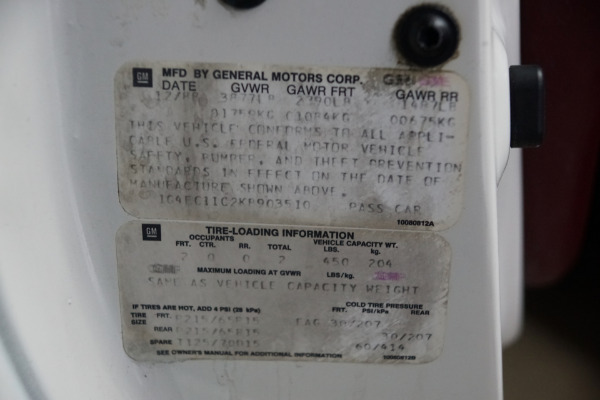 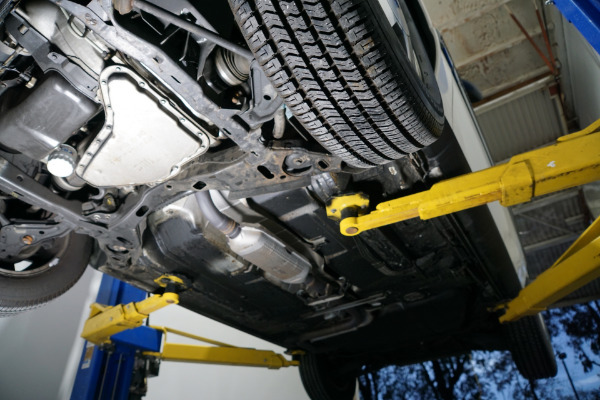 This particular example has no history of any accidents or signs of any previous damage and boasts a clean CARFAX report, confirming its original mileage. 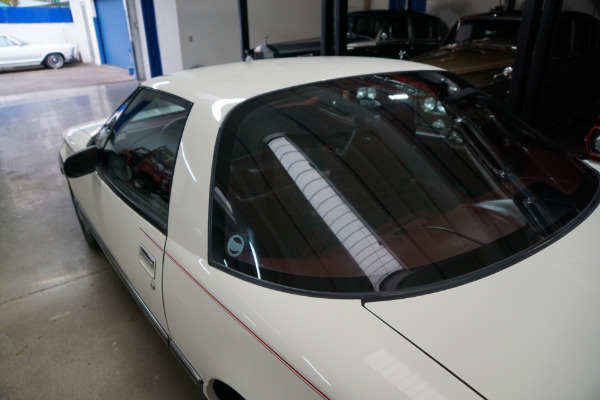 It was obviously always garaged as there is absolutely no rust and no oxidation or signs of any exposure to the elements whatsoever. 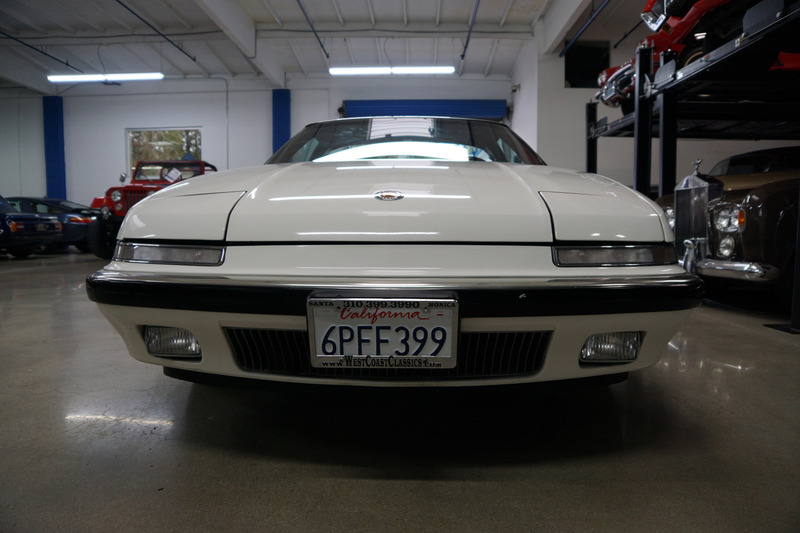 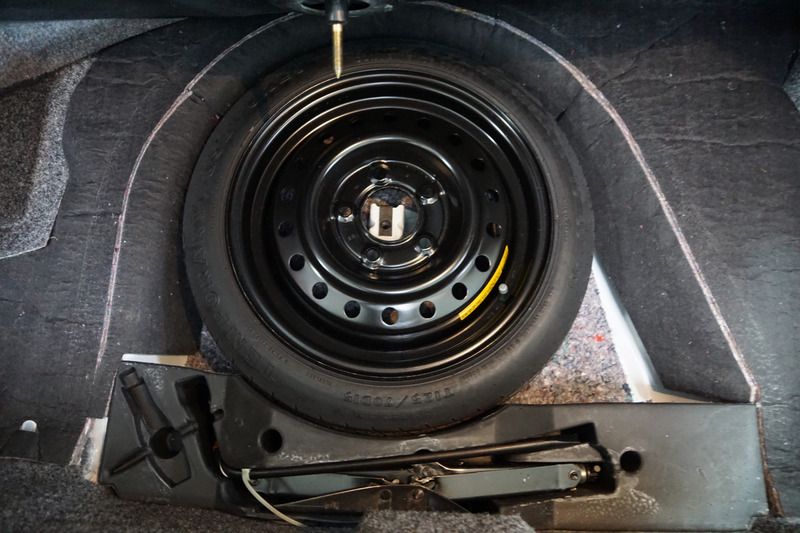 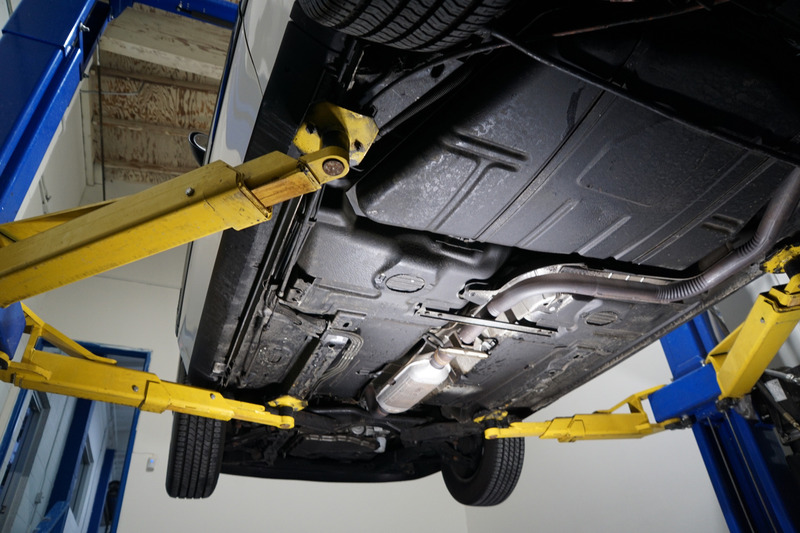 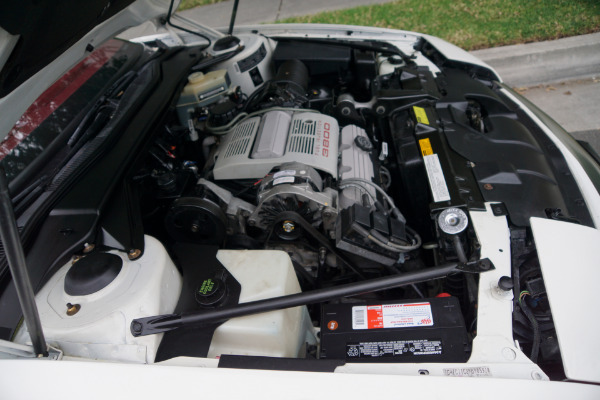 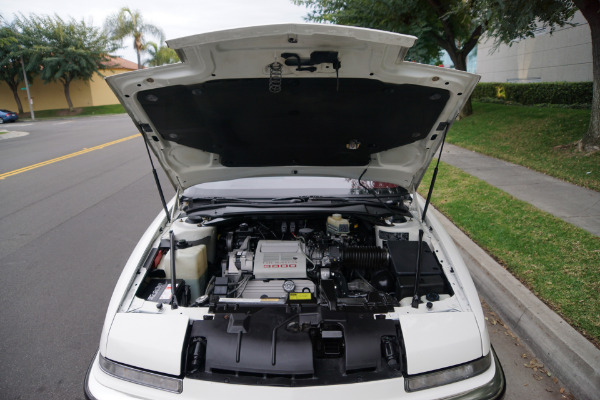 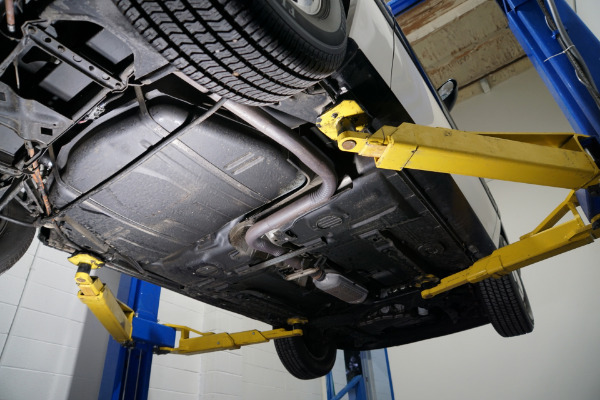 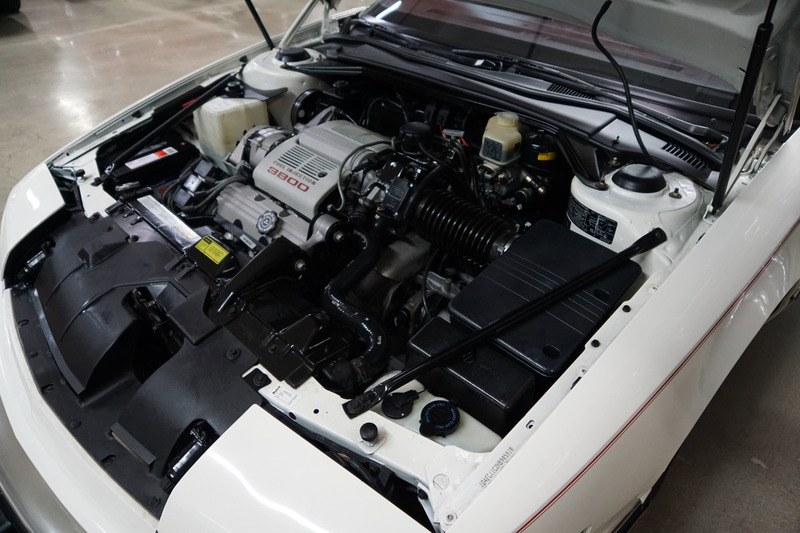 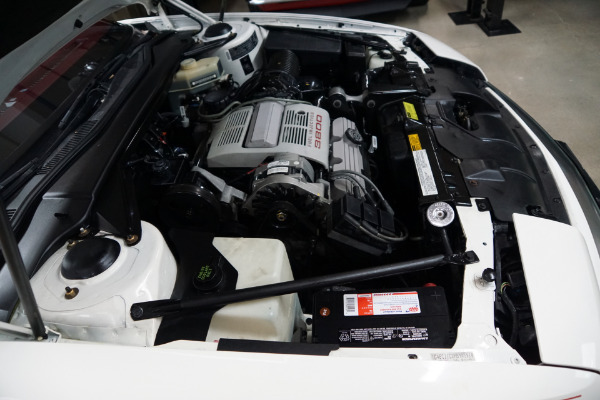 This is an original California car which was always well maintained and serviced. 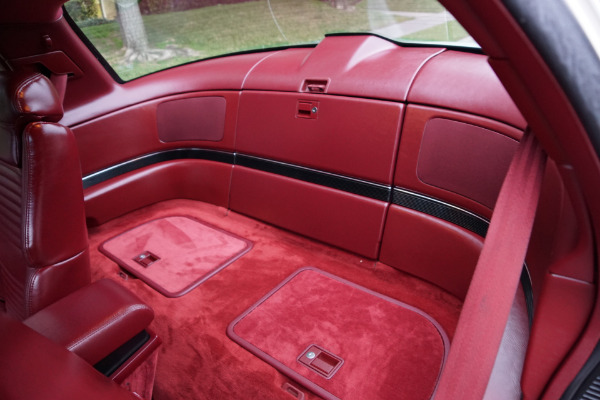 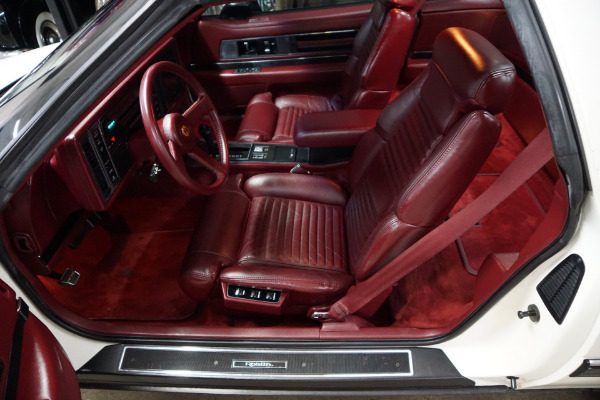 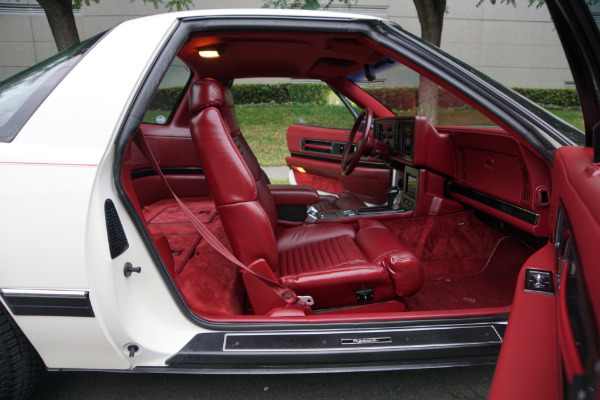 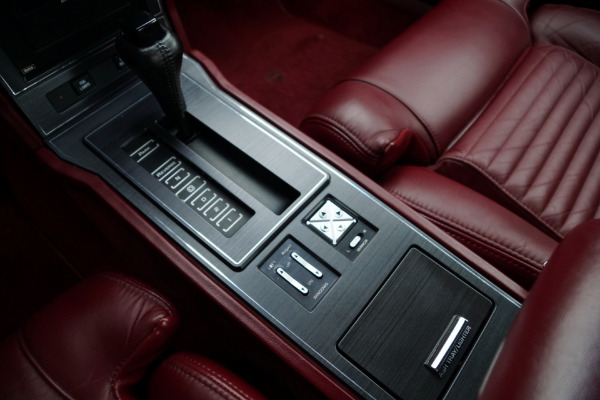 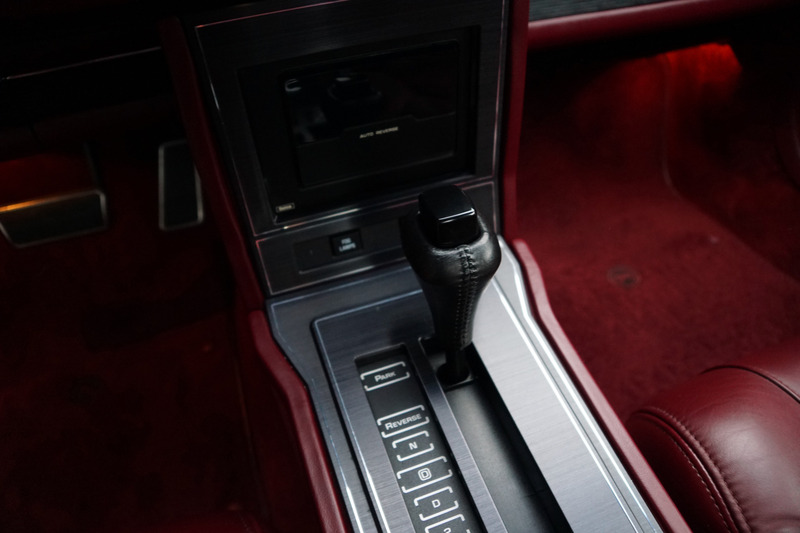 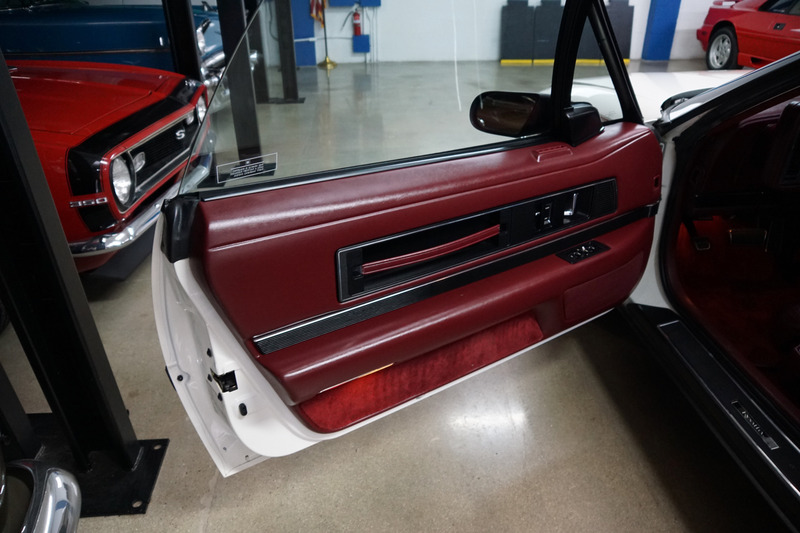 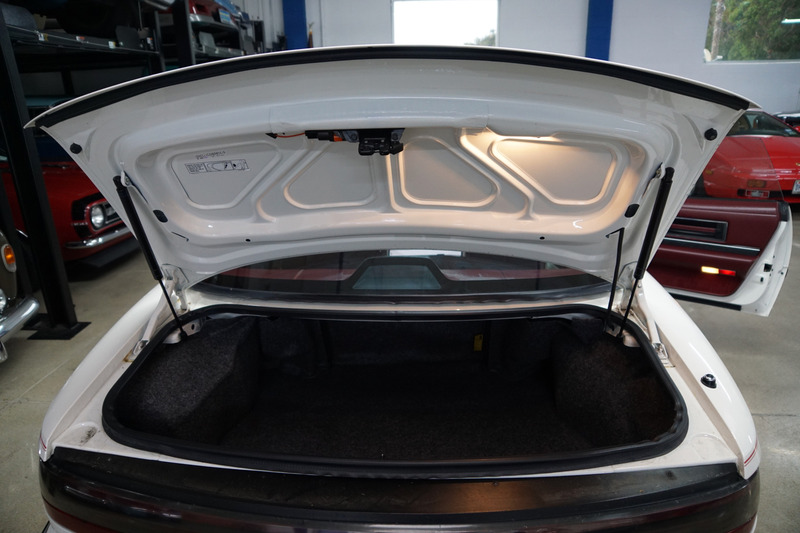 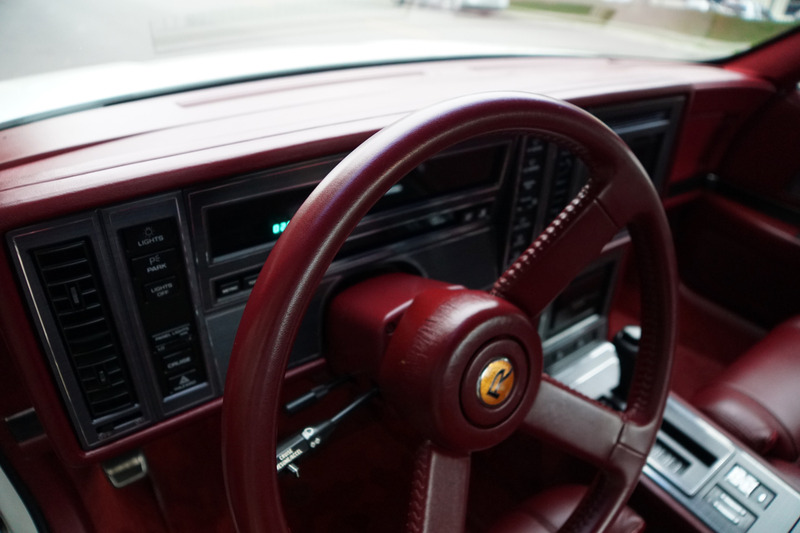 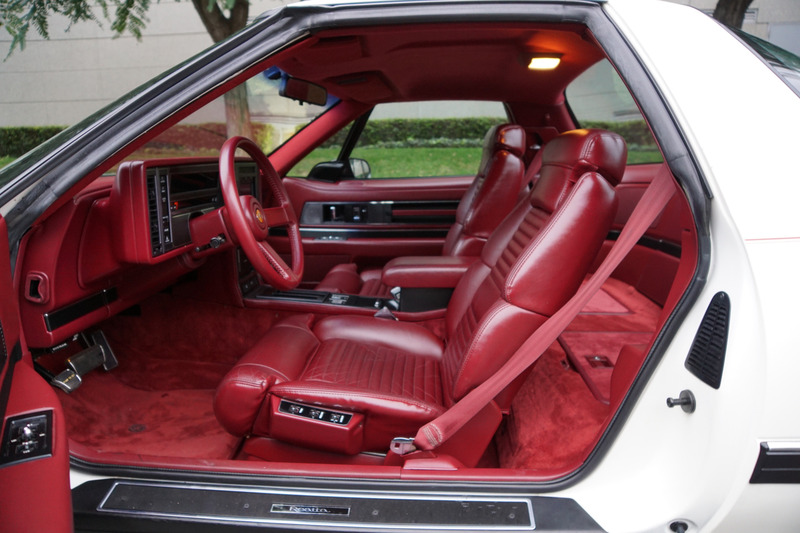 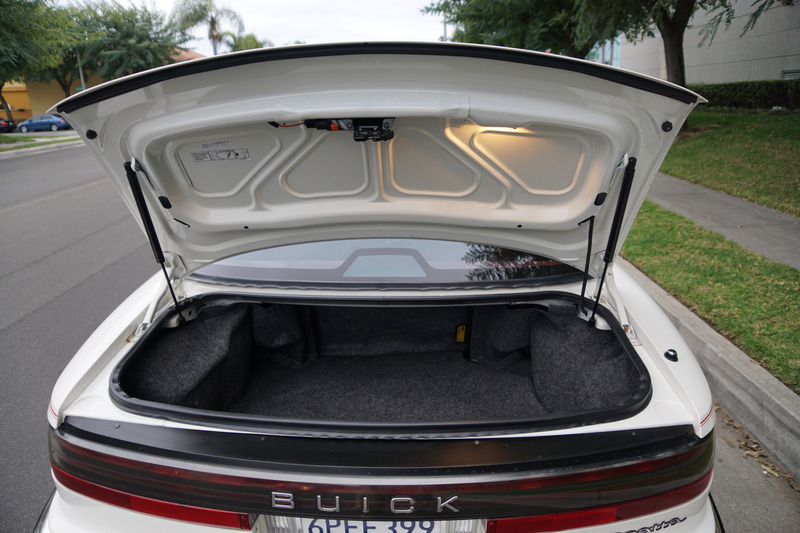 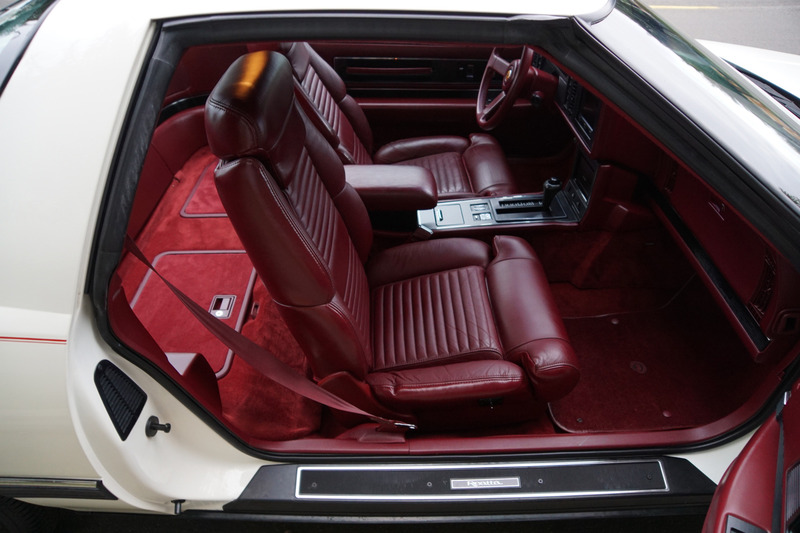 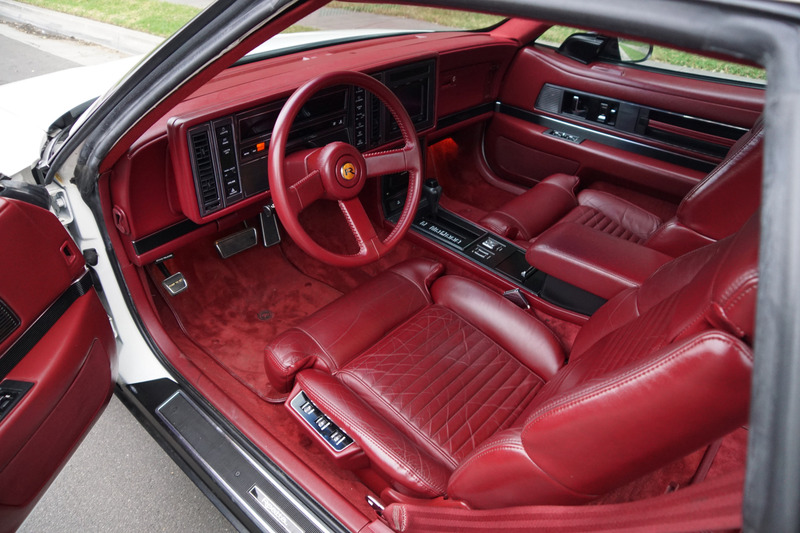 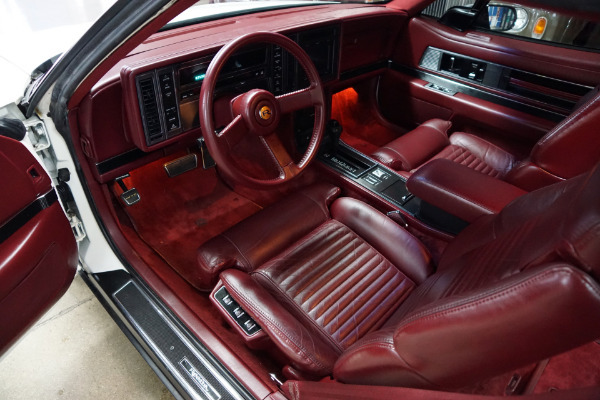 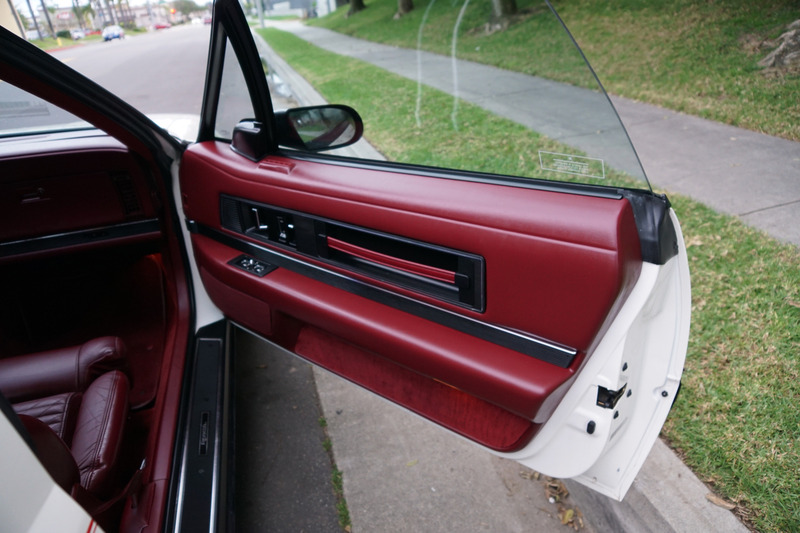 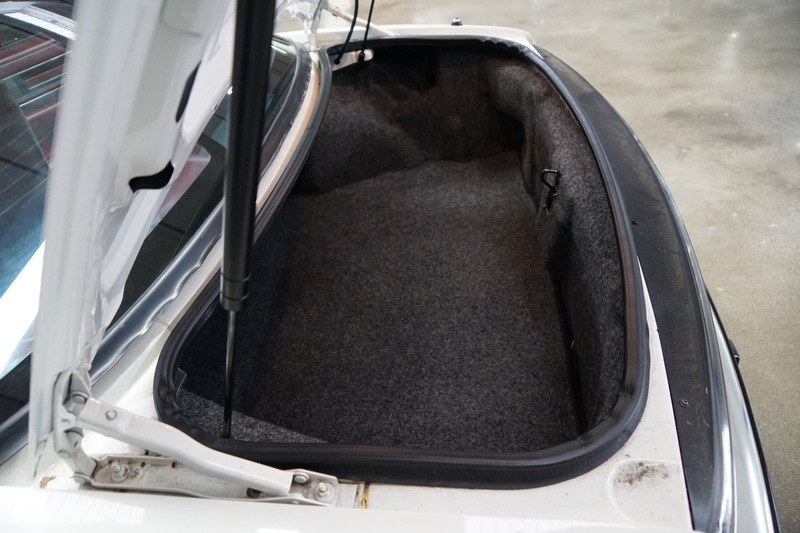 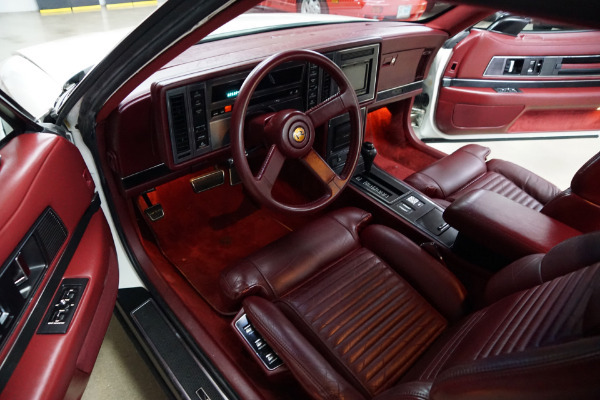 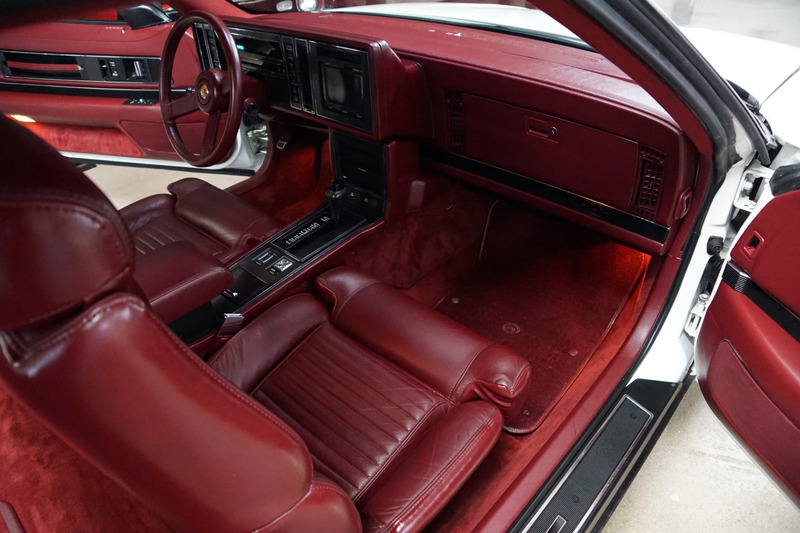 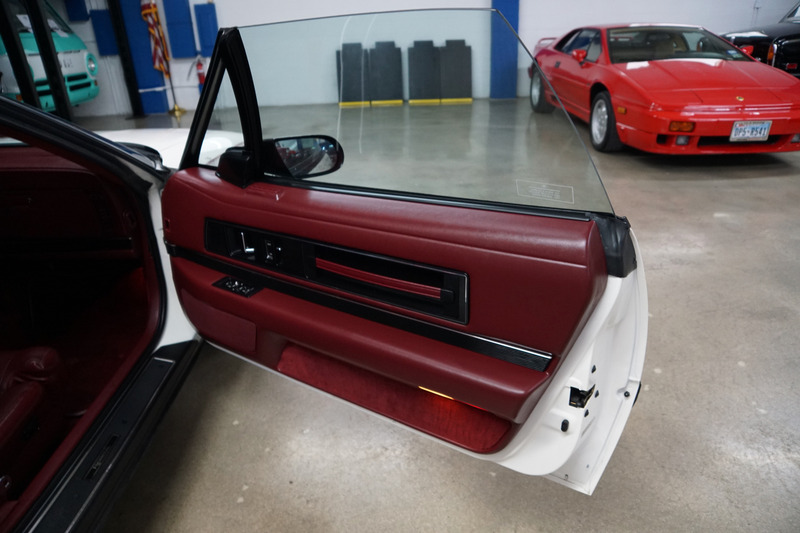 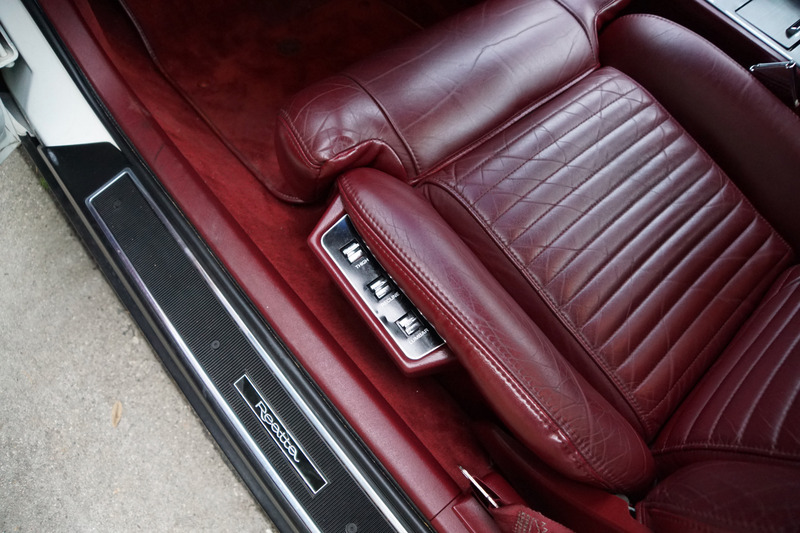 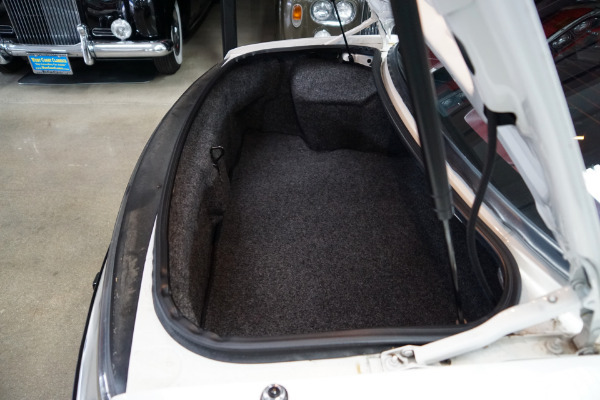 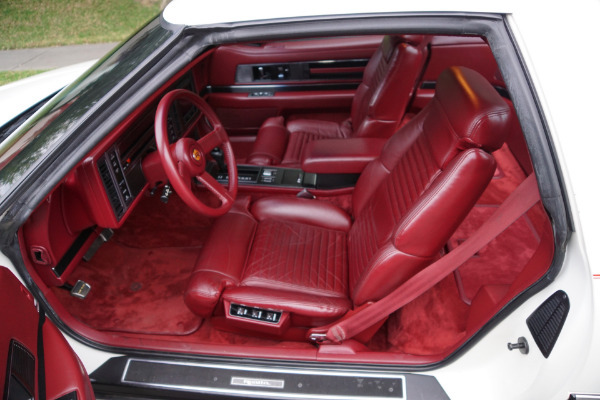 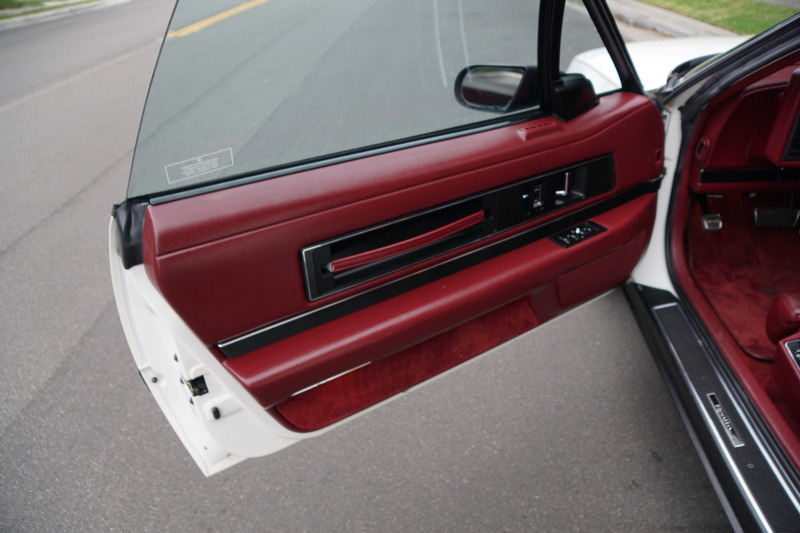 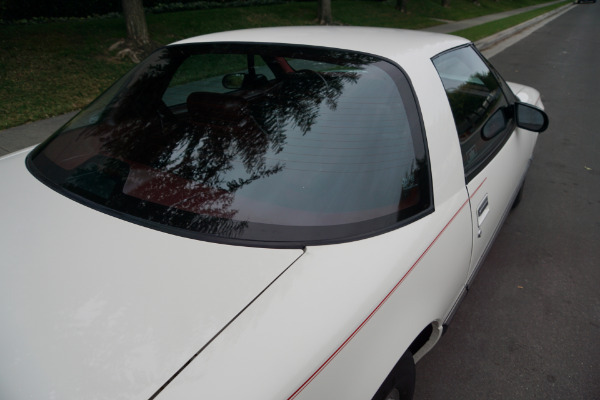 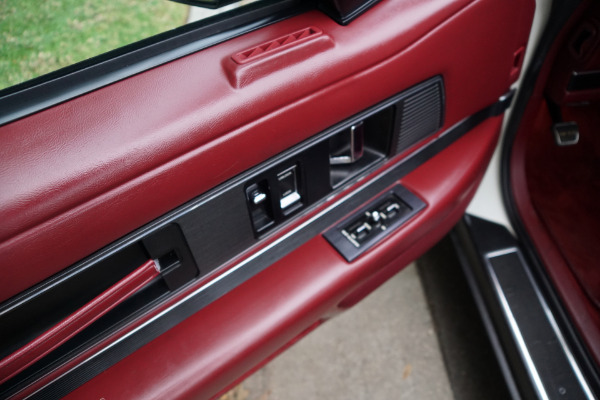 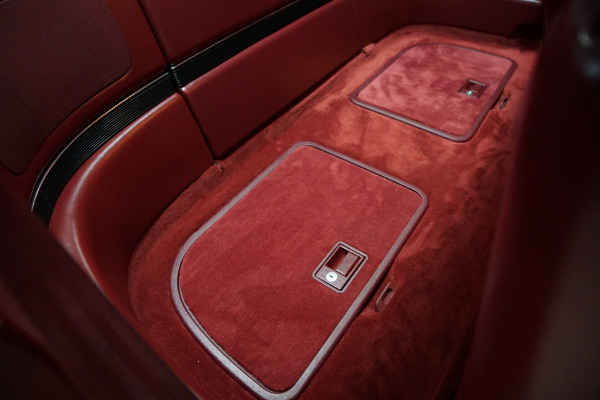 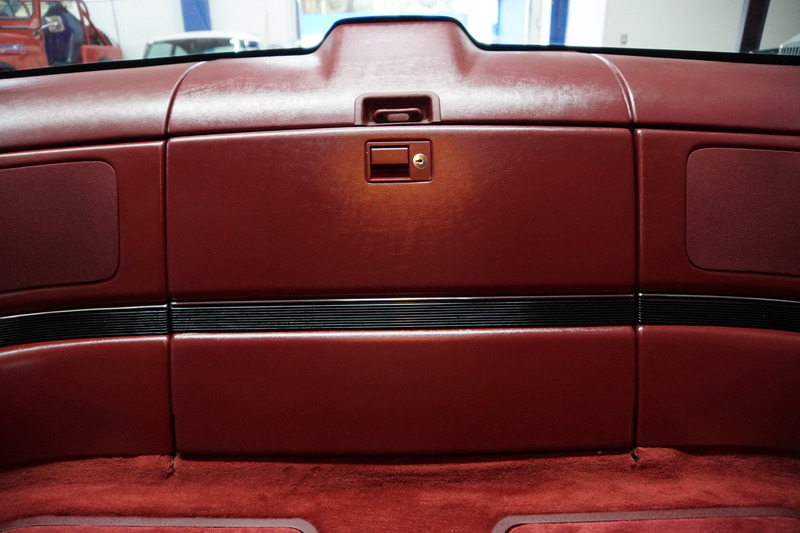 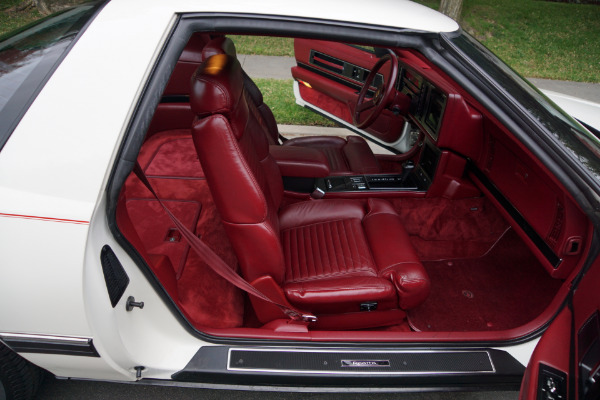 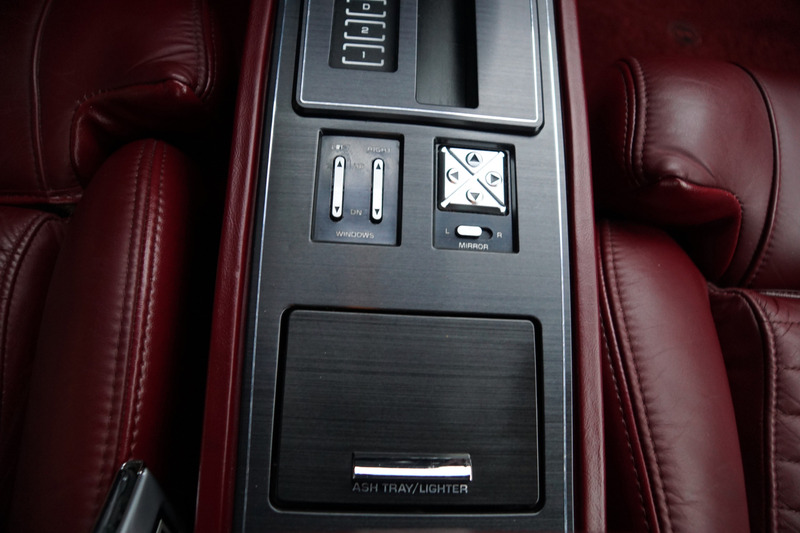 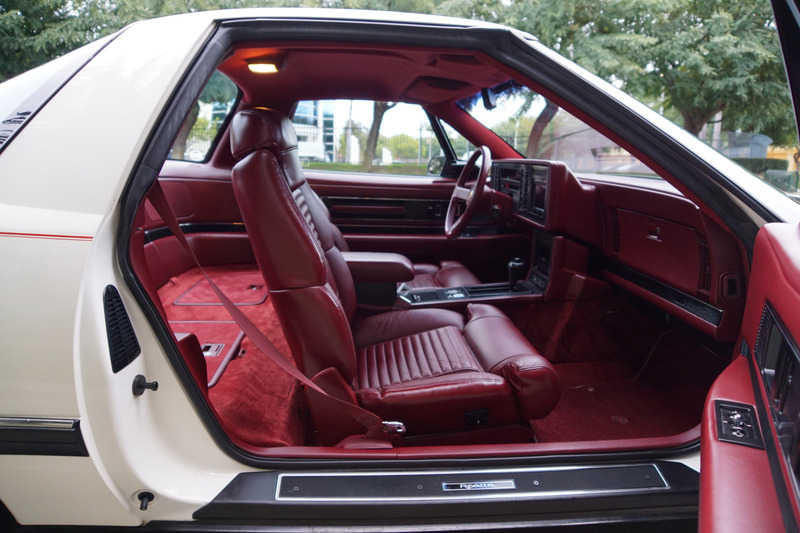 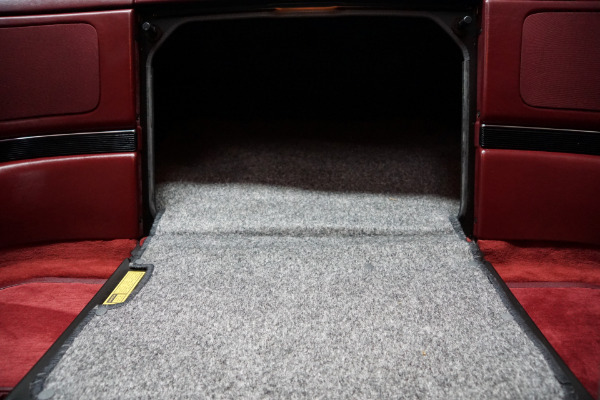 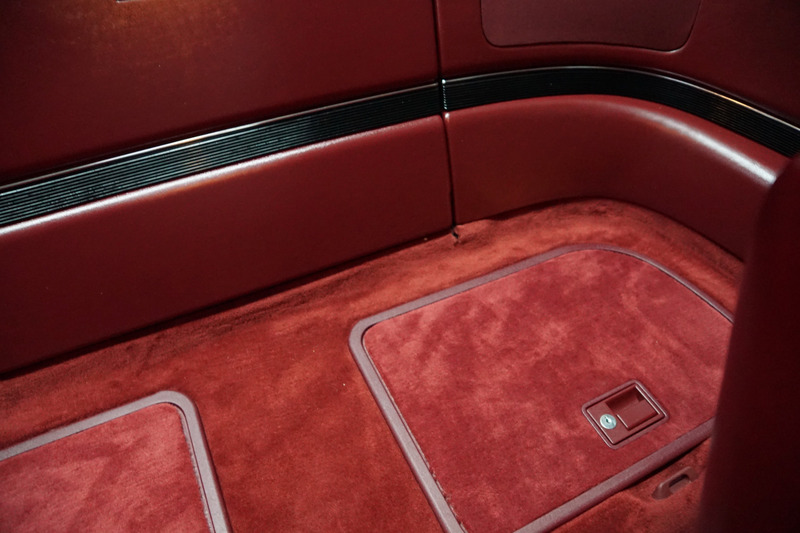 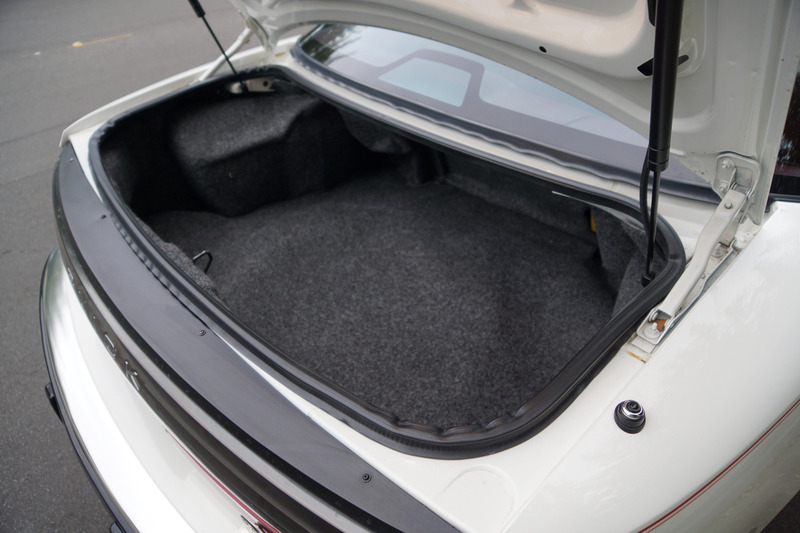 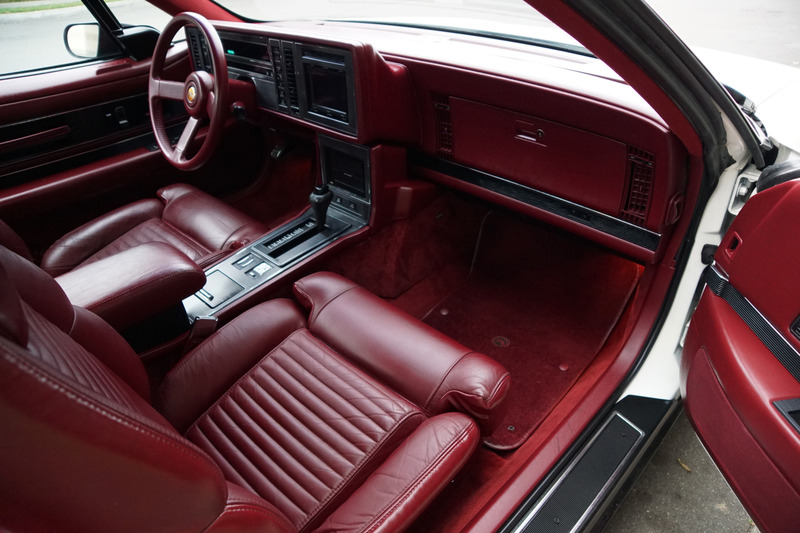 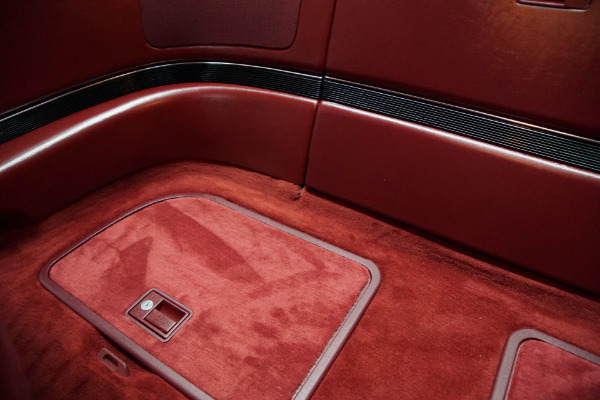 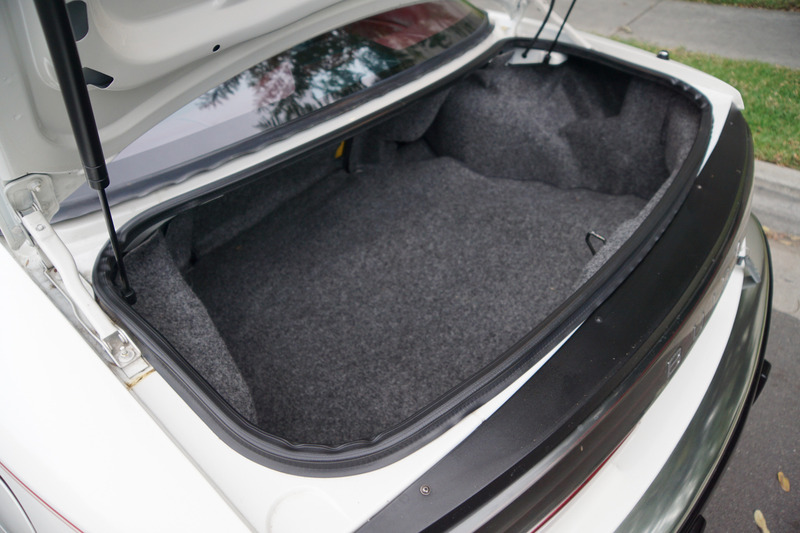 The original factory 'White' color paint is in exceptional condition as is the original 'Burgundy' leather interior and all the options are working as they should. 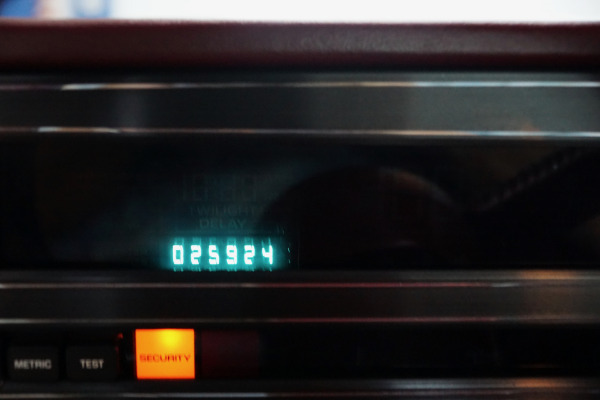 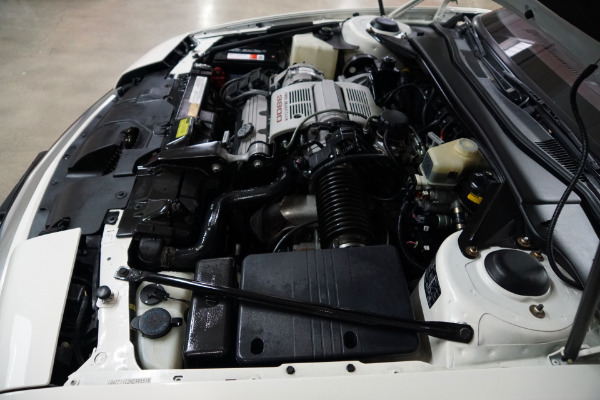 The car drives exactly like such a low mileage and well maintained and serviced car should and must be driven to be fully appreciated and seen to be believed! 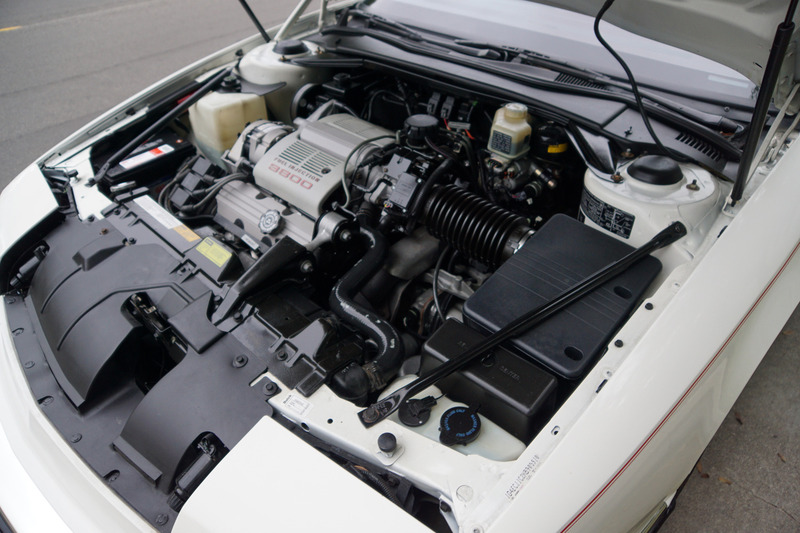 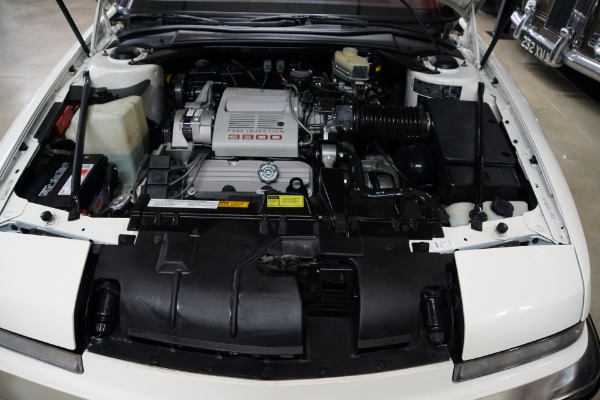 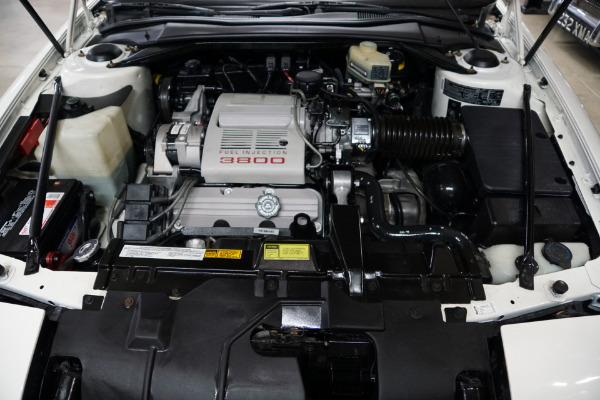 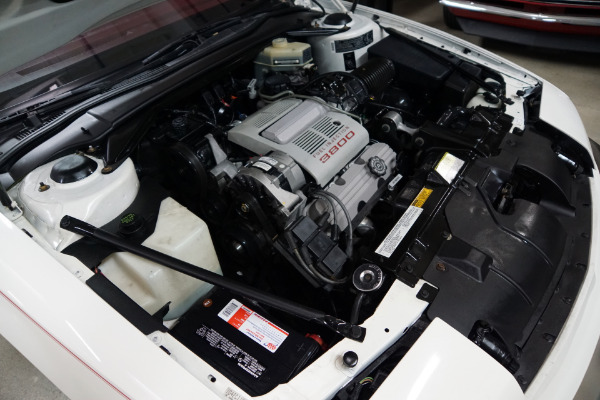 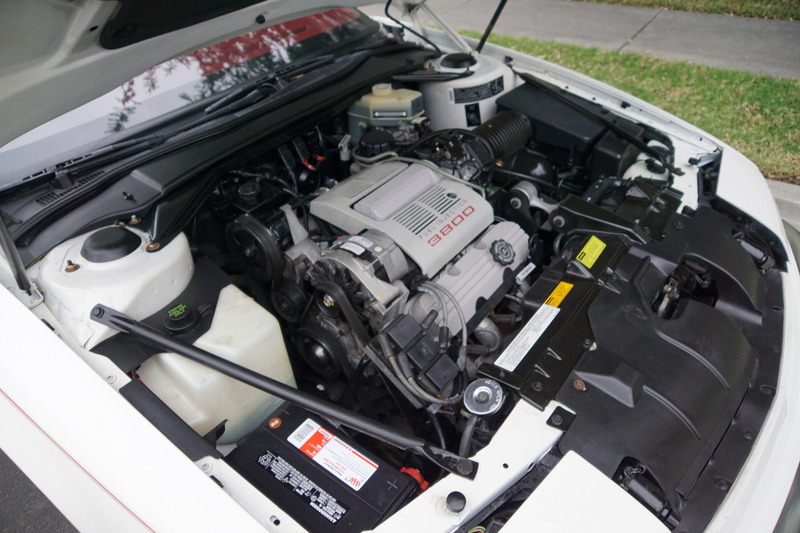 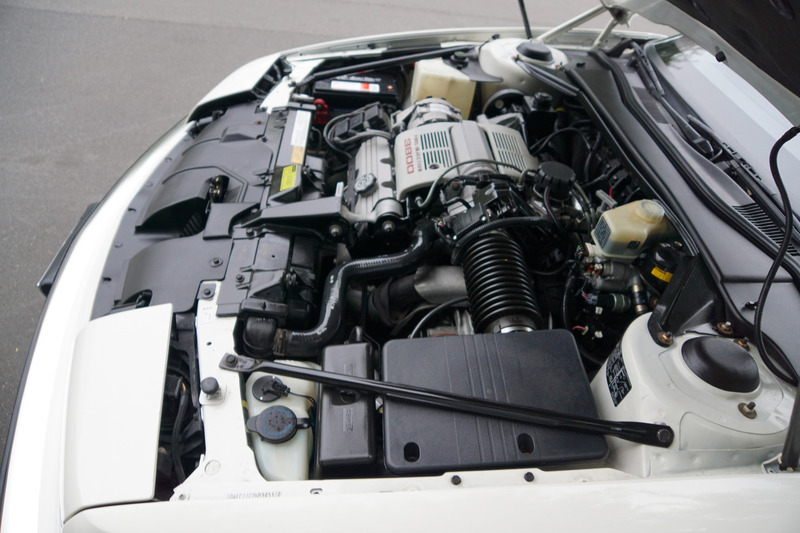 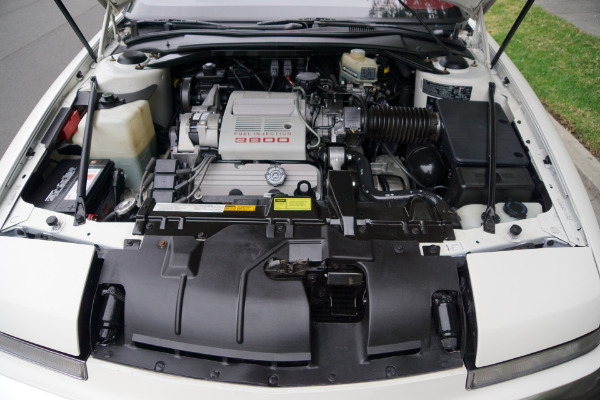 The engine is extremely strong with no oil leaks, the transmission is very smooth shifting and the temperature always remains cool. 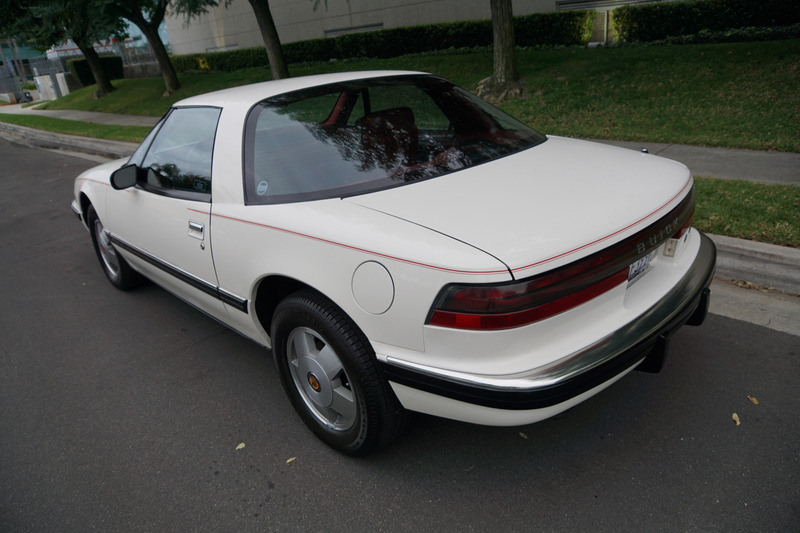 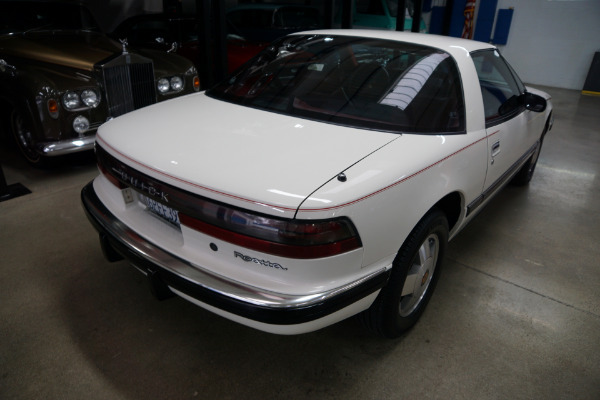 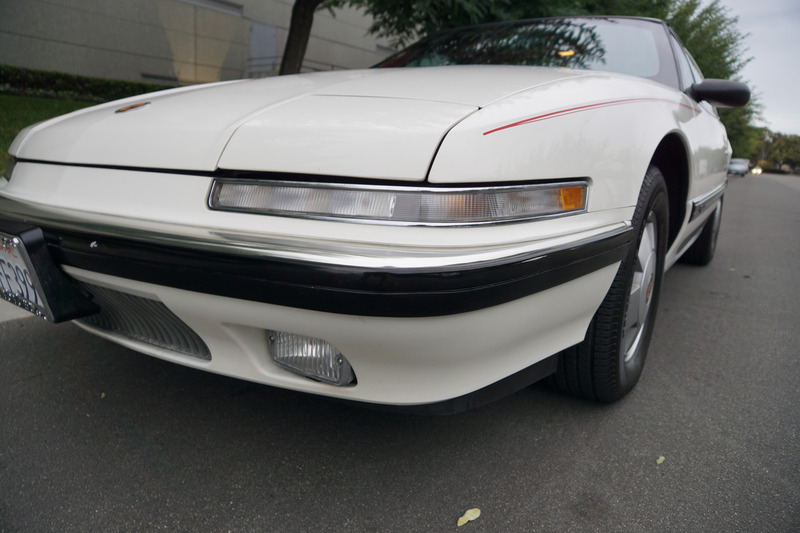 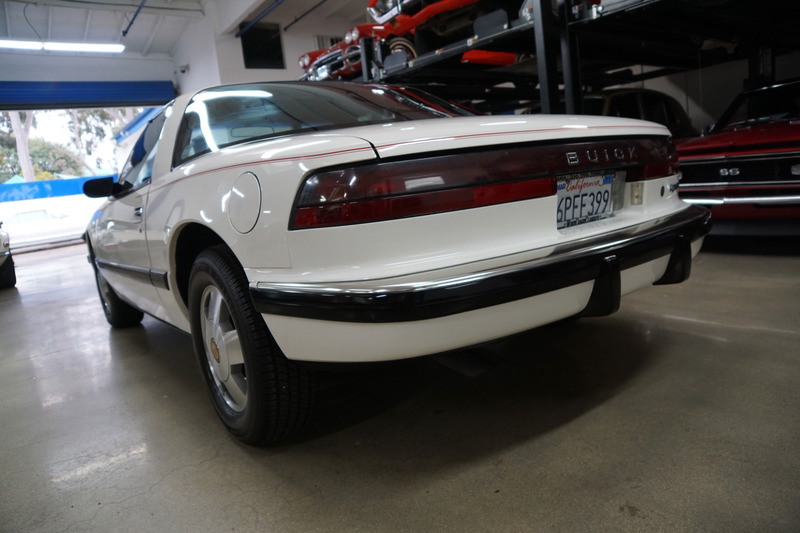 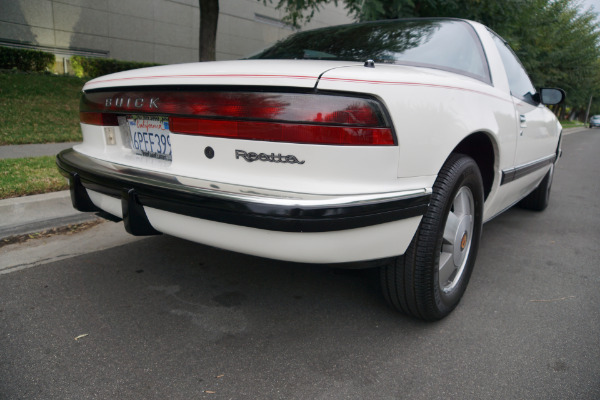 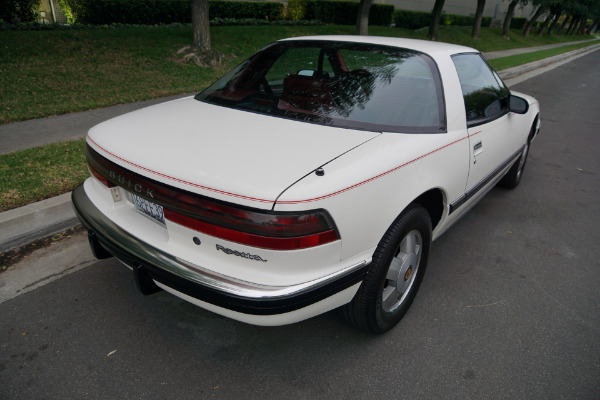 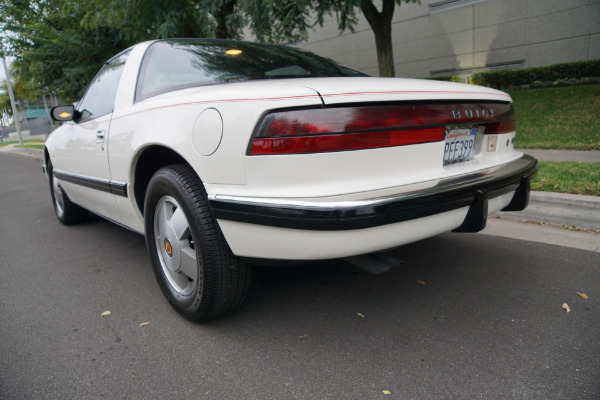 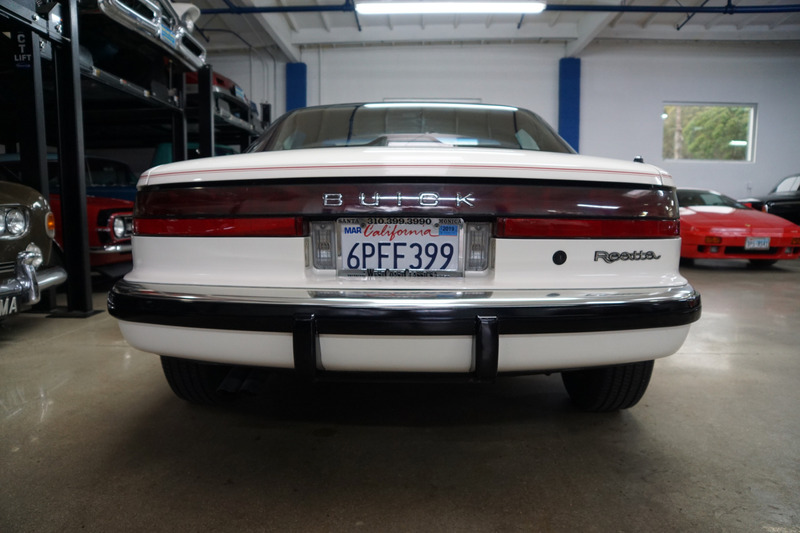 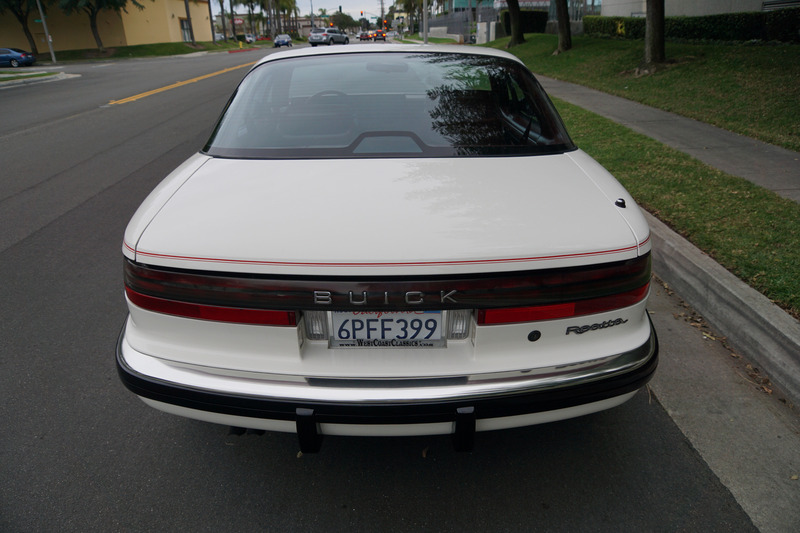 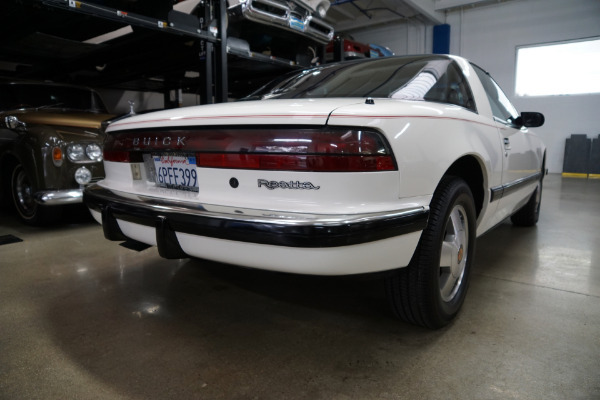 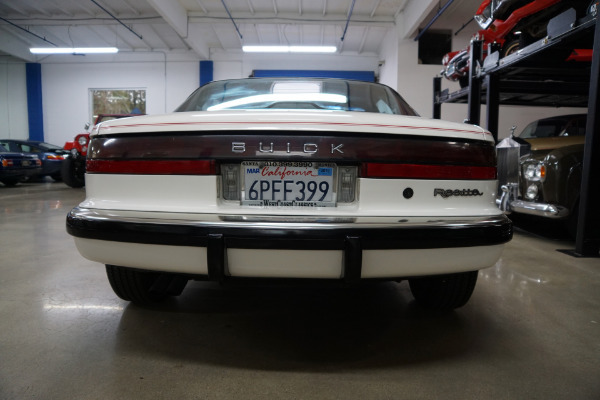 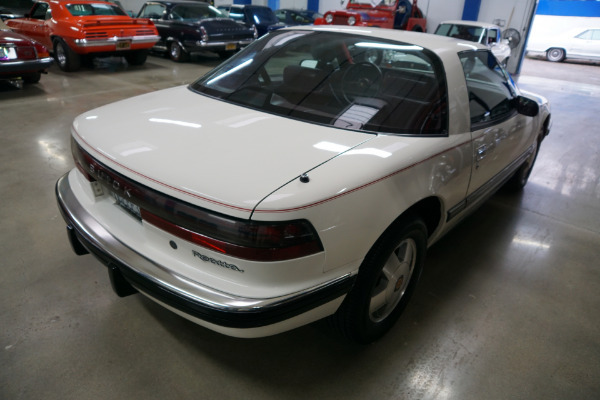 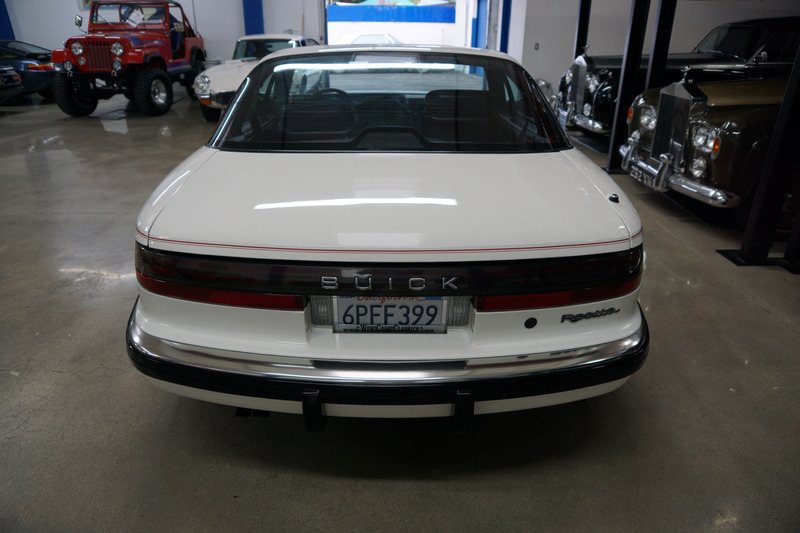 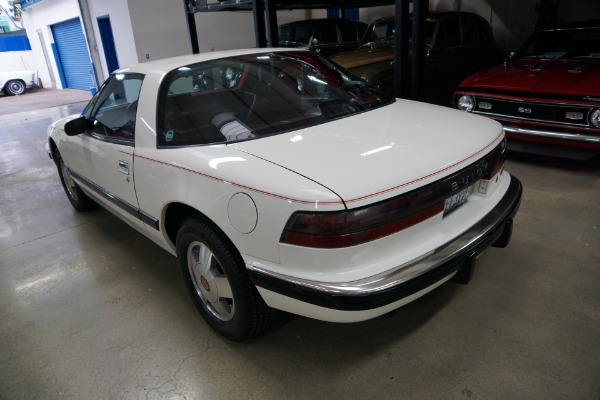 Now fully depreciated, these cars offer great value for anyone seeking a rare, fun and luxurious sporty Buick and you will surely look long and hard to find a finer example of this exceptionally clean and rare 1989 Buick Reatta with only 25K original miles available anywhere else!